h264ify is a Chrome extension that's been around for a while. What it does is force YouTube to play videos using the h264 codec, rather than VP9, as the former has wider hardware acceleration support. Unfortunately, if you're still on Windows 7 or 8.1 and use Chrome, it doesn't matter if you bought your GPU yesterday — VP9 won't be hardware-accelerated in Chrome. 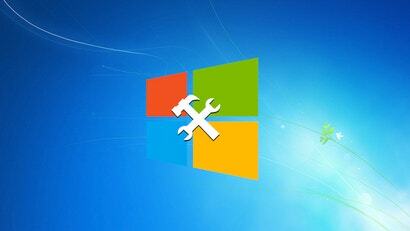 As of today, Windows 8.1 is out of offical mainstream support from Microsoft. The deadline has passed which means most of us still running the last-gen operating system won't see updates or be able to call support. If you really want to make Windows crash, it's not that hard. Fire up Photoshop and resize an image by a billion per cent. Done. There are other ways that don't require third-party software of course, thanks to bugs in the operating system's core code and in the case of pre-Windows 10 platforms, the NT file system. Microsoft has gone ahead with its plan to disable updates on pre-Windows 10 operating systems running on newer AMD and Intel processors. While your machine won't suddenly stop working, it does mean your Windows 7 or 8.1 install won't benefit from the latest updates. Fortunately, a simple workaround is now available. Drive space isn't as big a concern as it used to be, but if you're sporting an SSD as a main drive and it's on the smaller side, every megabyte counts. Once you've squared away the low-hanging fruit, you'll always come back to Windows itself. Usually, there isn't much you can delete from the operating system folders, however, with some finesse and the right tools, you can banish old, bit-hungry drivers. No matter how well you prepare, hooking up an extra display to your Windows machine can sometimes put you in a weird limbo where none of your screens are showing what you need, leaving you with no choice but to reboot (at worst). Next time this situation pops up, keep this simply shortcut in mind: Windows key + P.
Just when you think you can rest easy, Microsoft decides to release a bunch of updates that once again add telemetry (information-gathering) services to your machine. While not harmful, they can sometimes hog system resources and be annoying in other ways, so here's how you can purge your PC and -- hopefully -- keep your computer clean for good. We might agonise over operating system start-up times, but it's not the occasional restart that affects your productivity. It's the little delays that add up over time that you should worry about. Take the humble Windows context menu. It can get filled with crud from application installs and if it's not appearing near-instantly when you right-click, it's time to clean it out. At the start of the year, Microsoft announced that operating systems before Windows 10 would not receive support for newer Intel hardware and support for Skylake on said systems would be dropped mid-2017. Yesterday the company decided to extend this grace period to 2018 to provide "greater flexibility". If you have an MSDN subscription, grabbing current and old versions of Microsoft's operating systems is a trivial affair. However, if you have a valid license, but don't have the DVDs on hand or the aforementioned privileges, downloading disk images directly from the source doesn't have to be complicated. Everyone has their own bag of diagnostic tricks when Windows decides to chuck a wobbly. While OS corruption isn't as big a problem as it used to be thanks to journalled file systems and tools such as System Restore, you can still be caught with your pants down by malware, viruses and other nasties. In those cases, a utility called SFCFix might get you out of trouble where other options fail. The way in which Windows decides what size a system dialog should be -- for example, the one you see when saving or open files -- can seem like sorcery. Fortunately, you do have some control over it and while not immediately apparent, it is straightforward. Updating your PC is often an innocuous process, but those running more recent versions of Windows may find that their latest round of patching included a nice surprise -- a downloader for Windows 10. The Windows command line is very handy, but it's not particularly evident how to launch it with administrator privileges in Windows 8.1. Here's the simplest way to do that. Windows XP officially took its last gasp back in April, but that didn't mean it stopped being used. 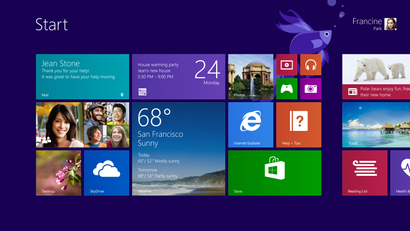 Yet November marked an interesting development: there are finally more machines using Windows 8.1 than Windows XP.